I’ve been doing a lot of research into mattresses lately, and the one thing I have come to learn is that not all organic mattresses are the same! I became educated about the chemical flame retardants used in mattresses years ago, when shopping around for a crib mattress for my firstborn. The more I learned, the more I knew that every mattress that would enter our home from then on, would be ones using only organic materials as flames retardants, rather than chemicals. (For links about the chemicals used on standard mattresses, see the bottom of this post). Being that at the time, my non-organic mattress was only five years old, there was no talking my husband into getting a new one for us just then. However, as the years have passed, I have been collecting my research on different mattresses and companies in preparation to buy the perfect one. After all, we certainly spend enough of our lives sleeping, bonding and cuddling with the kids on one! 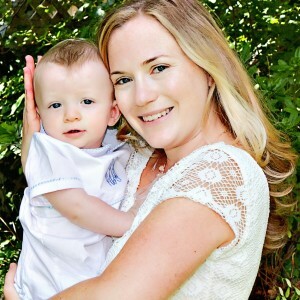 It was just recently, as I was getting ready to approach my husband about needing to replace our now ten-year-old mattress and needing two twin beds for each of our now toddlers, that I met Kathy. After having done her own extensive research on organic mattresses, Kathy chose My Green Mattress company to purchase hers from and loved it so much that she asked them for a job helping them to spread the word! *** see my note at the end of this post for a new coupon code and explanation! Because I know how tedious finding a trustworthy mattress company can be, I want to share why I choose My Green Mattress over the other natural and/or organic mattress companies. Gosh, this sounds like a sales pitch, and really, it’s not. 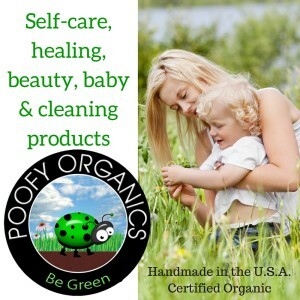 I actually had been duped once before with one of our ‘organic’ crib mattresses ordered online, so I know firsthand that there are companies that are greenwashers and I want to help the ones that are genuine! First and foremost, My Green Mattress’s philosophy about what a bed should offer matches mine: Comfort, Quality and Free of Toxic Material. Not all ‘organic’ and ‘natural’ mattress companies use safe, non-toxic materials. During my research into finding truly safe mattresses for my family, I have found that natural and organic mean different things to other companies. For instance, one of the major brand names in natural beds uses silica sand as a natural flame retardant. Though silica is natural, in the state of a powder like this, it’s actually toxic and considered to be carcinogenic. This same company also uses plastic in their waterproof layer. Other companies use organic cotton but still treat it with chemical flame retardants. With My Green Mattress, there is no greenwashing and no surprises. They tell you exactly what they use and how they use it and you can talk directly to the owner about any questions you have (to me this is important!). Unlike some other ‘organic’ mattress companies, My Green Mattress’s mattresses are made from safe materials, used in a more natural state. They use organic cotton, Joma wool and 100% natural latex (made from the rubber tree as opposed to synthetic latex). Other natural mattress companies use a blend of rubber tree sap mixed with soy foam and chemicals that escape during normal wear and tear as airborne particles, and have been found in human blood, breast milk and cord blood and have been linked to a wide range of health risks (Greenpeace and Minnesota State Health Department). If you are looking at other mattress companies, you need to ask about what is in their blends AND ask if chemicals are used at all during the manufacturing process. You do not want a mattress or pillow made with polyurethane or made from any materials that you do not recognize. Foam is synthetic and made from chemicals! My Green Mattress has mattresses to fit the budget of most consumers. My Green Mattress’s beds are constructed from natural materials. While the higher end beds are constructed of pure latex rubber, their lower models are constructed from organic cotton and wool. While all are safe and offer a great night’s rest, the latex will last longer. In addition, My Green Mattress makes their mattresses and then sends them directly to you from their factory, so there is no middleman to mark up prices. My Green Mattress uses durable materials that last and support. As most of the mattresses from My Green Mattress are latex, which is not only durable, but comfortable, breathable, pressure relieving, resilient and conforming for a great night’s sleep. In addition, latex has anti-microbial properties that make it resistant to dust mites, mold and mildew, which helps reduce allergies. 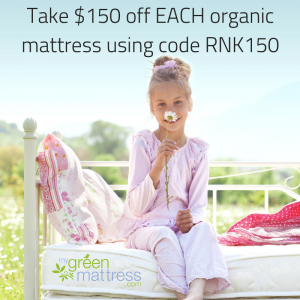 To learn more about wide array of safe, organic mattresses that My Green Mattress has to offer, you can visit their website, or call and talk to the owner! 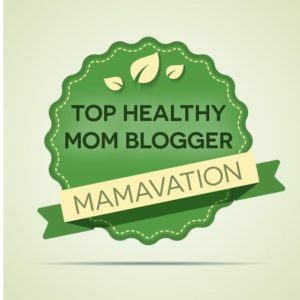 ***NOTE – One year after publishing this post, I became an affiliate with My Green Mattress. 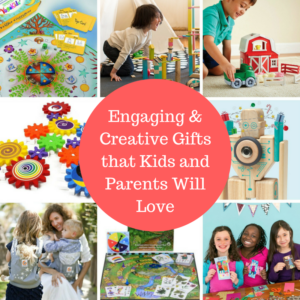 Use Code NATKIDS at checkout to receive 5% off of your order! Gross, Lisa. Flame Retardants in Consumer Products are Linked to Health and Cognitive Problems. The Washington Post. April 15, 2013. Hi there. I was excited to find someone els did the “foot work”. I wanted to go for this mattress. Thankfully I read the whole artical. I’m allergic to latex:(. Was there a next best option you found? Or is there a latex free version? Most of us are interested in a latex mattress because of its “green” or natural properties, one would want to make sure that the “latex” mattress we are looking at is made of natural and plant derived latex like rubber tree sap and not any chemicals. As natural and synthetic may look like the same under the microscope, in real they have somewhat different qualities, feels, some claim and differing levels of durability. Yes, agreed which is why I support My Green mattress, as the natural latex rubber used in their mattresses is derived from the sap of the rubber tree :). I was so happy to find your post as it can be hard to determine which companies are disclosing everything. I am convinced that this company is truly trying to make a safe product, but I still haven’t been able to find answers to all my questions, particularly the wool used. Seeing as how the wool is not organic, it is likely that insecticides are applied to the sheep during the production process. The concern is that residue from insecticides remains in the wool. Also, wool suppliers will often treat the wool with anti-microbial or anti-fungal chemicals (supposedly as a benefit to their customers). One such chemical brand that is commonly used is called UltraFresh. Not all non-organic wool contains these chemicals, but I’d like confirmation that the wool used in the mattress does not. I tried to reach out directly to My Green Mattress company and did not receive an answer. What do you know about it? “Our wool is bleached using hydrogen peroxide (not sodium hypochlorite which is what you usually buy when you are buying laundry bleach and will damage wool) and this is the same substance that is used in lower dilutions for washing wounds and for oral rinsing. The wool is then washed and crimped. NO anti-fungal chemicals are used in the processing of the wool. Per New Zealand law, insecticides can only be applied to the sheep immediately after shearing. This is to ensure there isn’t any contamination of the wool which could pass through to further processing.” Hope this helps! How do you feel about My Green Mattress blending their wool with polyester? I just found this out. On one hand, it’s likely not a huge deal but, on the other hand, I feel their mattress descriptions are a bit deceiving since this is not disclosed anywhere on their website. I’m considering still ordering but I wish there were more transparency. EDIT: The less than 1% of polyester strands were removed in 2015. There is no longer any polyester on any of the mattresses sold by My Green Mattress. Thank you. I received the same reply from Kathy. She was very professional and prompt in answering my questions. I decided to order the Natural Escape for my daughter. awesome! She’ll love it! 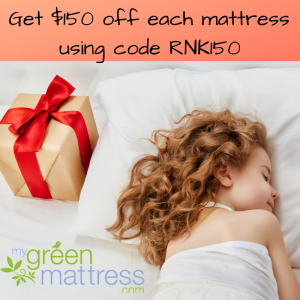 were you able to use the Raising Natural Kids (RNK) coupon code for your discount? I actually used their $75 Earth week coupon as it was a greater discount. I’m now learning My Green Mattress treats their wool with bleach. This makes me wonder what other questions I should have asked them prior to ordering a mattress from them. It is so disheartening that we need to probe companies we’re ordering from and that they choose not to be completely transparent up front. I am just putting this out there because I know you’re affiliated with them. Guess what? They took all polyester out! I just ordered the Pure Echo double sided for my daughter – had done tons of research and kept coming back to mygreenmattress, then happened upon your review and that solidified my decision. Spoke to Tim to help with my choice of which mattress, and he couldn’t have been more helpful. Really great company with an amazing product to give us parents such peace of mind. Thanks again for your honest and wonderful review. My husband and I are in the market for a new mattress. We are having the difficult challenge of finding the right organic one that we can also lay on in person. We have found one in particular bit wondered if I could get some more specific info and possible concerns on it from you? Please email me if that works better than posting publicly. Sure, what type of information are you interested in knowing, what questions do you have? My Green Mattress does have a full money back guarantee which is good to know! We had seen a Naturepedic which we did find quite comfortable but I’m concerned about whether they greenwash? Wondering the same about a Savvy rest? If anyone knows of a places in Minneapolis or the area to try out other organic mattresses please share. I have only found Moss Envy to carry any. Naturepedic is one that I believe uses the soy/chemical fill. To be sure, you can call them and ask them if they use fills or blends and if yes to either question, ask them to tell you exactly what it is. You do not want Polyurethane or anything that you have never heard of.